Scott Forest Products is always looking to add items that will complement our existing lines. Expanding our basket of goods enables our customers to source more products from us and thereby allowing them to capitalize on all the benefits associated with that. Fewer vendors mean’s there are fewer purchase orders that have to be issued and fewer invoices to be processed. A recent addition to our product line is a 2” x 2” x 12’ plastic. Made from recycled materials, this product is used as a spacer and also a nailing strip by the concrete forming contractors. 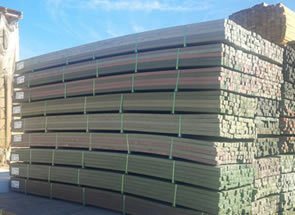 Our customers now have the convenience of ordering the plastic with their lumber, plywood and release oil. We continually look at adding to the products we carry with the goal of always making Scott Forest Products the supplier of choice.